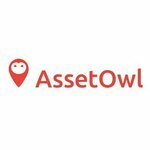 Having taken its enterprise software solution into the multi-billion property sector, AssetOwl (ASX:AO1) is fast gaining traction with some giants in the property industry. In its short time as an ASX listed company, the $1.7 million capped AO1 has secured key cornerstone relationships in both the private and government property management sectors, namely with Colliers International (NASDAQ:CIGI) (WA) and AC3 as a conduit to NSW Department of Housing. As stated in its latest investor presentation, AO1 provides cloud based software services for real estate asset management to the residential, retail and government property sectors. It is essentially an innovative technology company with an enterprise software application providing real estate owners with one trusted platform for managing their properties remotely (Management Platform), and a game-changing rental inspection tool with a ‘visual’ centric focus (InspectorAsset). Colliers has already rolled out the first version of AO1’s InspectorAsset tool, with AO1 currently developing the second version of its residential tool, Inspector 360, to be distributed amongst industry leaders. This will be a significant move for the company, especially as it enters the residential property sector. The residential market contains 2.6 million properties in Australia, with an estimated 1.3 million being professionally managed. AO1 is targeting property managers: there are approximately 6500 real estate agencies managing residential properties and averaging about 200 properties each. That’s a large addressable market. We will look at its revenue model in more detail shortly, suffice to say that with 100% engagement of property managers across the country, AO1 believes it could reach an annual revenue target of $45,500,000. It isn’t inconceivable that AO1 could reach this target, despite having a lot of work still to do. 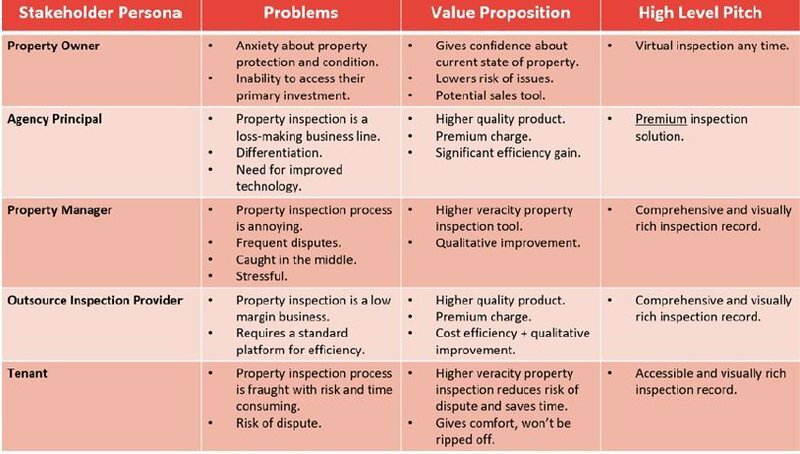 The fact is, this company is solving several issues at once by empowering property managers to efficiently capture property inspections and collaborate on AO1’s cloud-based platform with other stakeholders including property owners and rental tenants. It can assist property managers by giving them better efficiency and accuracy throughout the inspection process. This will ultimately have a positive impact on the lives and wallets of landlords and tenants. Think about it: property companies can transition from filling out PDFs with 600 questions and 1000 photos to conducting inspections on mobile apps, which automatically attaches photos, includes voice recognition for description and automatically reformats a document which tenants can print and sign. All in all, life for the property manager becomes simpler, easier, more efficient and more lucrative. There’s a lot to like about the work this potentially undervalued company is doing, so now let’s look deeper into the story. Combining Geospatial Information Systems (GIS) and Virtual Reality (VR) technologies, AssetOwl (ASX:AO1) has developed an Internal Visualisation System (IVS) designed specifically for property owners to visualise, question, analyse and interpret data. The tool extends to all properties in a manager’s network and helps clients and their partners answer questions and solve problems by looking at their data in a way that is quickly understood and easily shared. 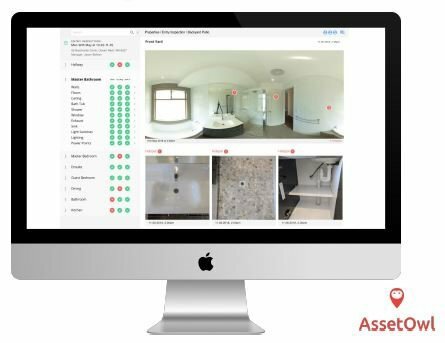 AssetOwl's Internal Visualisation System designed specifically for property owners to visualise, question, analyse and interpret data. Managers who take up the AO1 solution are privy to a property floor plan ‘experienced' through a virtual tour that empowers clients to improve project efficiency, productivity and accountability, while lowering the cost and risks in delivering projects and change initiatives of all sizes. It's one platform and one source of truth for all property network information. The following short video discusses the advantages of the platform. AO1 has been working hard over the course of 2018 to fully integrate itself into the property sector and has already provided services to retail and government property sectors. In those articles we covered AO1’s relationship with Colliers (WA), which saw Colliers adopt a single, streamlined system of field tools to make collecting visual property inspections simple and precise, with razor-sharp reporting and analytical capabilities. We also covered its deal with 7-11, which by November 2017 had rolled out the management platform nationally giving it better visibility and control over its merchandise execution standards. However, it is the company’s expansion into the residential market that could have a real game-changing impact. Having proven itself in commercial and government property sectors, AO1 has turned its attention to the residential market where it will leverage its cloud-based technology to make a real difference to the management of residential real estate assets. Imagine cloud-based photograph and video applications that can remotely manage inspections and you have an idea of how AO1 can turn the residential property market on its head. InspectorAsset has already been tested to great effect by Colliers (WA). The first iteration of the platform, known as InspectorAsset has already been tested to great effect by Colliers (WA), but AO1 is currently developing version 2, known as Inspector 360 which could once again up the ante on what is currently available. This is a platform that is already solving several past immutable challenges. For instance, problems that previously occurred for property management agents and landlords included a lack of trust in agents in a ‘tenant protecting’ legal environment. Meaning tenants could get away with potentially damaging a property without landlords having any visibility of what is happening inside the property. Other issues include producing costly and time consuming inspection reports that require double handling, subjective and simplistic comments that don’t paint a true picture for the landlord leading to tenant/landlord conflict, reports not being accepted in court due to insufficient detail and current reports being made at a net loss to the company. Tenant are also faced with challenges including their own subjective assessments, the time it takes to look through photos and answer questions, uncertainty when repairs are requested and delays in having the bond released. Prior methods of reporting were cumbersome and oftentimes a no win situation for anyone. AO1's platform looks to eradicate the paper trail. That’s a much easier way to conduct business. It leaves no stone unturned and gives all parties fair recourse. The introduction of Inspector 360, will only strengthen these ties. 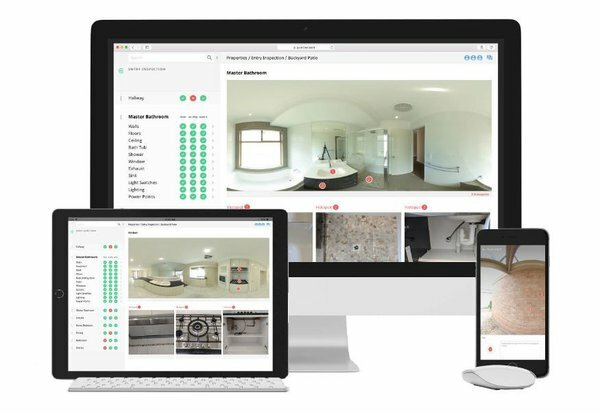 The introduction of Inspector 360 leverages AO1’s existing platform, but takes it to a whole new level. This photo-centric, comprehensive visual tool offers a 360 degree virtual tour of a property and acts as a baseline for a property’s condition. Using the virtual tour, owners, tenants and property managers can conduct a complete walk-through of a property via their mobile phone or PC. That’s a complete property inspection undertaken with just a handheld device. 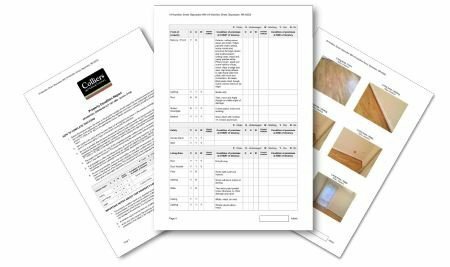 This updated platform is a streamlined, fully compliant report that is relevant to all parties and could be a huge point of difference for landlords when attracting new tenants with both parties understanding what is required of them. Essentially tenants can use the app to inspect, comment and digitally sign. They can pin notes to panoramas in the app and create a comprehensive record of navigable photos that can put paid to disagreements or be used in court challenges if it comes to that. There are several advantages that will bring tenants, landlords and property managers together. Inspector 360 offers an easy to use workflow. It's a seven step process that allows you to set-up a property, take external and internal virtual tours, create a floorplan, create notes during the process, take hotspot photos, report any hotspots, give stakeholders the opportunity to review the report and keep a record of all work done. All of this is done via a single app. As stated, the company is in full development of the platform now, however there are several catalysts to come as it looks toward full commercial release in March 2019, just a few months from now, with a premium version to be released in June. As stated above, there were 2.6 million residential properties in Australia, according to ABS 2016 figures. Rents are quite stable one at present, meaning consistent demand, with just a 0.2% drop in demand in Sydney. That consistency is a change from the ridiculous prices we saw early this year, particularly in the Sydney market. Current conditions literally opens the doors for those who are looking to rent a property. When you consider that in Sydney alone construction rates are at an all-time high, with a boom in new developments across the city and surrounding suburbs, there will be more houses and apartments coming on to the market. This means more vacancies are available and rental prices could continue to drop. AO1 could capitalise on these conditions as it works with partners to develop better tools to unite renters, landlords and property managers. Remember, there are about 6500 real estate agencies managing residential properties and averaging about 200 properties per agency. AO1 plans to charge an average of $35 per property per year with a per use cost. AO1 has its sights set on high revenue targets. As you can see, if it captures 10% of the WA market it has an annual revenue target of $455,000, 10% of the national market gives it $4.5 million, but 100% of the market gives it $45.5 million. Whether it captures that amount of the market is speculative, however you can see the upside here and why the residential sector is so important to AO1’s growth plans. AO1 has several catalysts coming up as it strives to capture more of the market in 2019. The company is getting closer to reaching an agreement with a leading property inspection firm with significant local share. All going to plan, the firm will provide beta site testing and become a reseller. AO1 is also looking to target large early adopter agencies and outsource inspection service providers to help roll-out its platform. These groups are already known to the AO1 Board, which could create a quick adoption of the platform. Factor in a heavy emphasis on social media marketing direct to property managers and creating demand generation through promotion to property owners and AO1 will have its hands full in the coming months. The aim is to have its platform become the standard operating platform for national real estate managers. If it can do this, then this micro-capped company may get the boost it is seeking.